All Aboard! 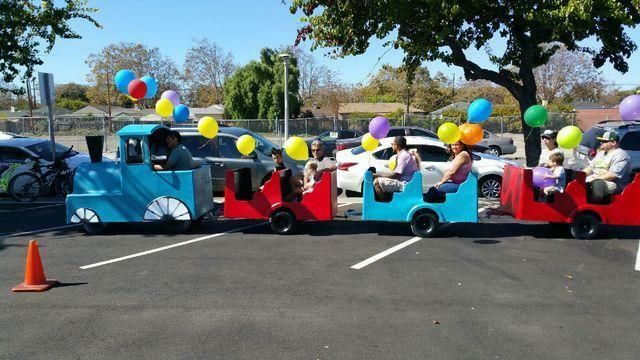 The Bay Area Express Trackless Train awaits you. Can hold up to16-20 passengers. This is great for school carnivals, street fairs and church functions. The rental time is for 4 hours. Comes with attendant. $250 per hour after 4 hours.